Today, it’s easier than ever to bring your ideas to life with your very own blog. But with so many different options available, it can be difficult to know where to start. That’s where we come in. 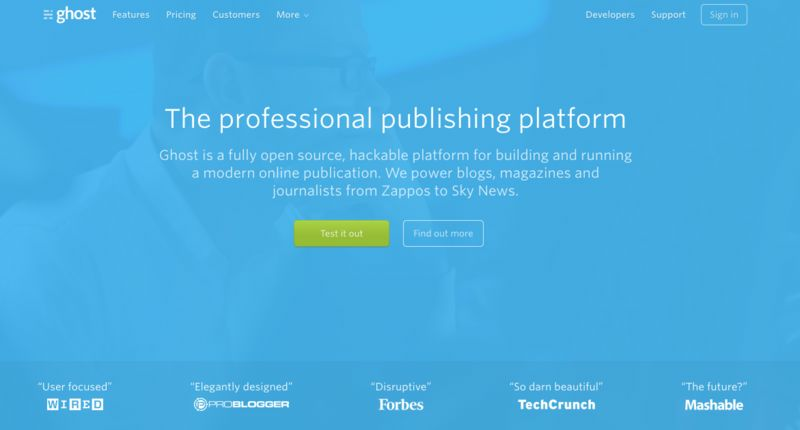 Read on for our comprehensive review of 9 of the best free blogging platforms. Regardless of the type of blog you’re hoping to start; this guide gives you everything you need to know about the features, pros, and cons of some of the most popular blogging platforms around. While different blogging options abound, these are our favorites. Whether you’re blogging about food, fashion, art, design, or another niche, you’ll find a good fit in one of the blogging platforms below. When it comes to blogging, we’d be remiss if we didn’t start with Wordpress. WordPress is the most popular blogging platform — it powers more than one in four websites. Unlike many options on the market, which provide all-in-one blogging solutions, WordPress is a simple software you can use to power your blog. You’ll still need to secure web hosting and a domain name to get your blog up and running. There is a learning curve with WordPress. First-time bloggers may find learning the ropes overwhelming. But once you learn the ins and outs, you’re likely to find that WordPress offers the powerful features and customizations you need to bring your vision to life. Wordpress.org is ideal for pro-level bloggers and businesses looking for the utmost in customization, with the technical know-how necessary to make use of all WordPress’ features. You’re on your own for web hosting, security, backups, etc. Here at Postach.io, we believe user experience is at the heart of every successful blog. We provide you with the easiest path to success, so you can focus on crafting memorable posts, instead of wasting your time navigating clunky interfaces. Postach.io makes use of Evernote, a popular creativity suite that many bloggers use to research topics, create drafts, and document their thoughts. Turning your ideas into finished blog posts is as easy as tagging them “published’" within your Evernote notebook. Postach.io offers a wide array of quality themes for you to create the perfect look for your blog. You can code your own themes if you’re fluent in HTML. Our platform also offers managed services created by some of the tech world’s heaviest hitters, including Google Analytics and comment management from Disqus. If you’re focused on creating quality content, and you’re worried about getting bogged down with the particulars of other blogging platforms, you owe it to yourself to take a closer look at Postach.io. Postach.io is a perfect fit for the aspiring blogger who is more concerned with creating great content than about the “nuts and bolts" of a heavily customizable blogging platform. You may be thinking, “didn’t we already cover this one?" Yes and no. While WordPress also owns this service, there are significant differences between Wordpress.org and Wordpress.com. 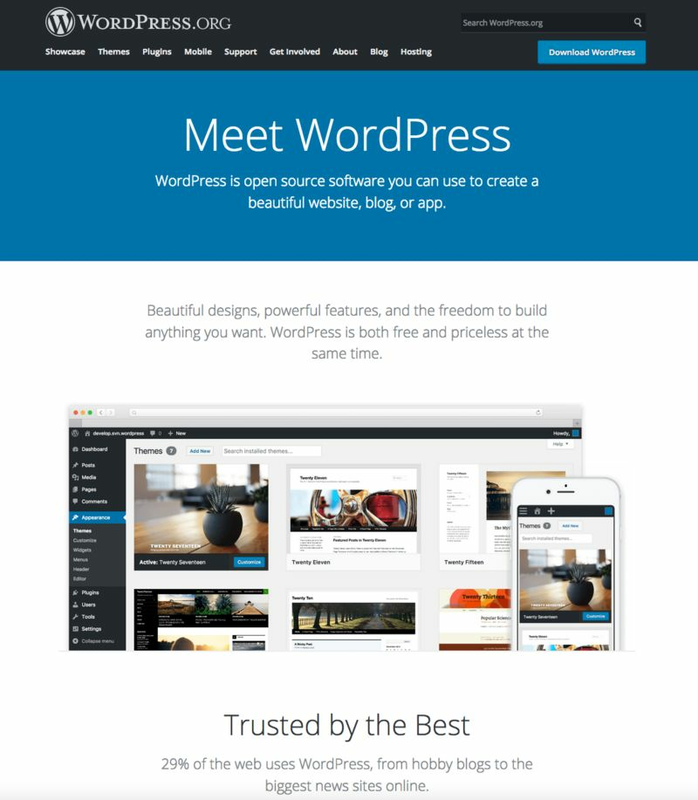 Unlike Wordpress.org, which simply provides the software you need to run own self-hosted blog, Wordpress.com provides an all-in-one package that includes hosting. All the essential features of Wordpress.org make their way over to Wordpress.com. However, many of the advanced features and customization that make Wordpress.org so popular are missing. With Wordpress.com, you can’t install custom themes, and the plugins available with Wordpress.org are absent. Also, WordPress reserves the right to remove any blog on the platform if they find it violates their terms of service. Wordpress.com is a good choice for anyone looking to create a blog without having to dive under the hood to tie everything together. Ghost is a popular blogging platform with similar functionality to Wordpress.org but without the complexity. Ghost was developed specifically for blogging, and is sure to delight users looking for similar functionality to WordPress with a more streamlined interface. Like Wordpress.org, Ghost is a downloadable software product that you can use to run your self-hosted blog. The company also offers a paid version that takes care of web hosting and simplifies the installation process. On the other hand, Ghost lacks many of the features that make WordPress so popular. While several important add-ons are built right into the software, you don’t have the option for additional plugins. Many of the best themes available also come with a hefty price tag. For the blogger with a passion for web development and an interest in the latest blogging platforms, Ghost is worth a closer look. Squarespace is one of the most popular all-in-one website solutions, and they’re well known for helping small businesses and individuals create great looking websites without any knowledge of coding or web development. Squarespace differs from the blogging platforms we’ve covered thus far in that it isn’t simply a blogging platform. While you’re able to establish a great looking blog as part of your site, you can also create landing pages, sub-pages, and even an online store. For these reasons, Squarespace and other similar services are a smart option for anyone hoping to flesh out their blog with these additional features and pages. 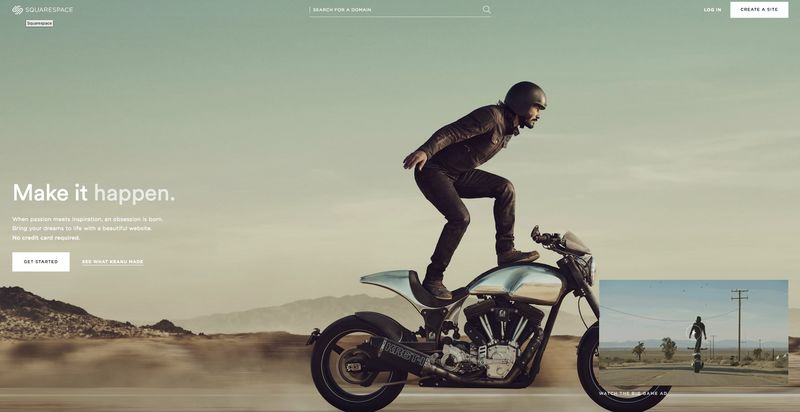 Where Squarespace shines is their site templates and ease of use. Not only is creating your site with Squarespace easy, their templates incorporate fancy design elements that would take extensive coding knowledge to create on your own. Unlike many of the options we’ve covered, Squarespace is a paid service. If you like what they have to offer, you’ll need to shell out $12 per month for their personal plan, or $18 for business users. While affordable, the cost of a Squarespace site adds up over time. If you choose a personal plan at $12 a month, your blog will cost you $144 a year to run. It’s worth considering whether or not all those bells and whistles are worth the long-term costs associated with this platform. Design-conscious bloggers or small business owners looking to include additional functionality beyond “just a blog" without the coding know-how to build a site from scratch. Even someone with no experience in the blogging world will recognize the name Blogger—it’s one of the oldest and most well-established platforms around. Blogger was acquired by Google several years ago. Creating a blog with Blogger is as simple as logging into your Google account on the Blogger website. From there, you’ll find an intuitive interface that allows you to create a new blog in minutes. Blogger provides one of the easiest to use blogging platforms available, and it’s completely free. The only cost associated is a custom domain name, if you’d like. As far as customization and plugins, you won’t find much with Blogger. It’s a bare-bones blogging solution that doesn’t provide customization options like themes, plugins and add-ons. With Blogger, you get a content editor and a sidebar— that’s about it. If you’re looking for an easy to use platform that will have you up and running within a few minutes, Blogger is worth a closer look. Joomla is similar to Wordpress.org and Ghost. Their software provides you with the interface you’ll need to create your blog but you’ll need to host it and connect your domain. Much like WordPress, the opportunity for customization is seemingly endless. You’ll find a vast array of different plugins, themes, and add-ons for your site. 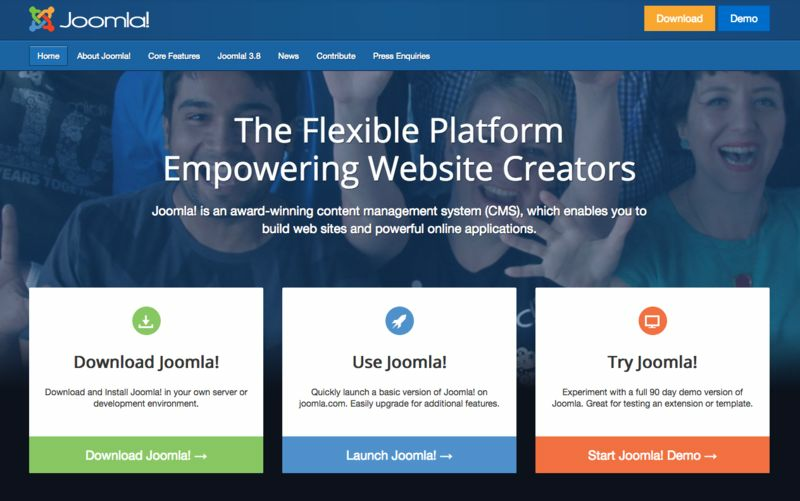 Joomla can be used to create everything from a simple blog to a full featured website, provided you have the know-how. Compared to WordPress, Joomla is relatively new and doesn’t have as large a user base. For that reason, you’ll find fewer options for plugins and customizations than you would with WordPress. That said, Joomla’s popularity is growing every day. With growth comes more users, more features, and more support. Over time, Joomla may grow to the point where they offer the same level of comprehensive features and support WordPress does. Joomla is perfect for serious bloggers looking for an alternative to WordPress. If you have the skills, patience, and know-how necessary to create professional or enterprise quality blogs, it may be worth a closer look. 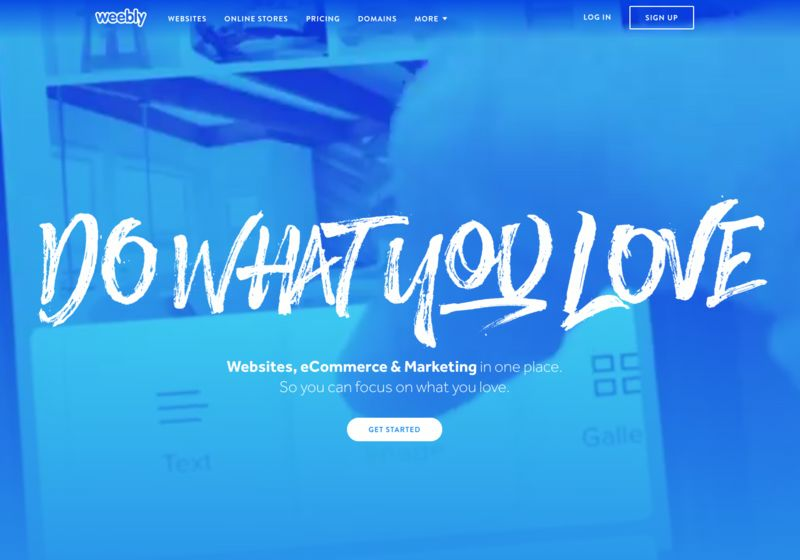 Weebly is a hosted web platform similar to Squarespace. Weebly provides an easy to use drag and drop interface you can use to create your custom site from scratch. Like Squarespace, you also have access to additional functionality beyond a simple blog— such as an online store — and a dedicated website as well. You can make use of a vast library of different themes, add-ons, and plugins that make it easy to manage every aspect of your new site. Unlike Squarespace, Weebly offers a free version that allows you to create your site and blog at no charge. Unfortunately, the free version has limited functionality compared to other blogging platforms. If you’re looking for additional functionality, you can opt for one of Weebly’s paid plans which start at as low as $8 a month. To unlock all of Weebly’s advanced features, you’ll need to opt for their pro or business level plans, which are more expensive. Weebly is ideal for bloggers and small business owners looking to establish a professional presence on the web for little or no cost. 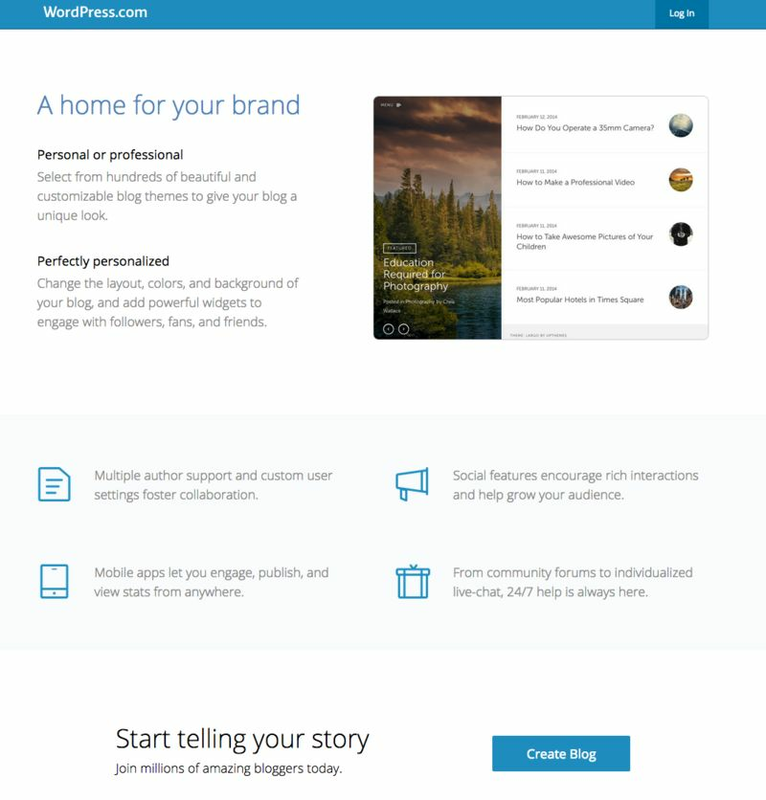 Like Squarespace and Weebly, Wix is a popular website builder that allows you to create beautiful websites with little to no knowledge of web development. Wix is well known for their beautiful, design-forward themes, a vast library of plugins and add-ons, and a user experience that’s second to none. As you’d expect, Wix is very popular with small businesses and bloggers looking to create an aesthetically beautiful web presence. While Wix offers several paid plans designed to meet the needs of different levels of businesses, they also offer a free version. Unlike Weebly, the free version of Wix provides much of the functionality and features of their subscription-based packages. Wix also puts an enhanced emphasis on blogging, which is one area where some of their competitors fall short. The Wix Blog app is easy to use, and many important features, like SEO, are built-in. Wix is worth a look if you’re a blogger or small business owner looking to build a website with little to no knowledge of web development. It’s also useful if you’re considering incorporating e-commerce features into your blog. 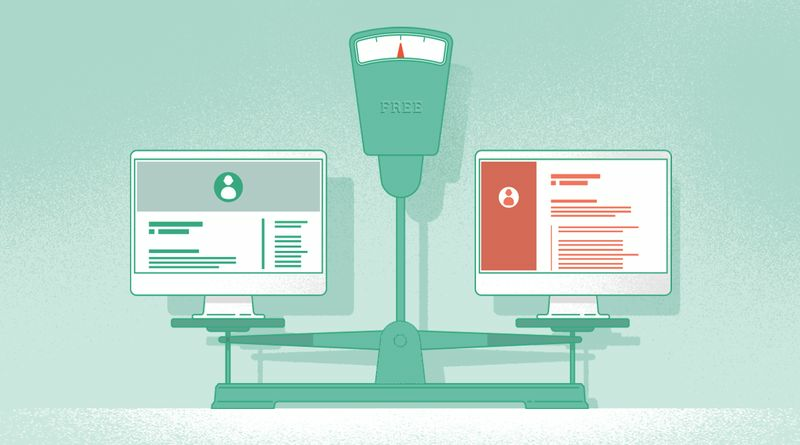 Each of the platforms we’ve discussed provides you with the tools you need to create a great blog, but some of them may be better suited to your purposes than others. For those of you looking to control every aspect of your blog from design to functionality and everything in between, Wordpress.org is the most popular choice. Nearly a third of the internet is powered by WordPress, and when you consider the flexibility of their platform, it’s easy to understand why. Similar platforms such as Ghost and Joomla are also gaining popularity. By the same token, not everyone has the time, knowledge or experience required to develop a beautiful WordPress blog. For those looking to breathe life into your creative projects without spending hundreds of hours learning how to develop a platform to show your work to the world, Postach.io is here. At Postach.io, we provide you with intuitive, easy to use tools that eliminate every hurdle standing between you, your ideas and a cohesive, beautifully designed blog post. If you’re looking to bring your passion to life, give Postach.io a try. Find out how the most streamlined, easy-to-use blogging solution on the market can help you make your mark.